The Singareni Collieries Company Limited has released a recruitment notification recently. The Department is inviting applications to fill the Management Trainee vacancies. Hence the Candidates who are searching for the Management Trainee can apply online for these jobs. Interested and eligible candidates can check the eligibility criteria, age limits, Pay scale, selection process, application process at the official advertisement. Therefore apply online for the Singareni Collieries Company Limited Management Trainee Recruitment before the last date. 1 MANAGEMENT TRAINEE (MINING), (MEN ONLY) BE/B.TECH/AMIE(MINING) (REGULAR) OR ITS EQUIVALENT QUALIFICATION WITH A MINIMUM OF 55% MARKS IN AGGREGATE. 2 MANAGEMENT TRAINEE (E&M), (MEN ONLY) BE/B.TECH/AMIE OR ITS EQUIVALENT QUALIFICATION IN ELECTRICAL, MECHANICAL OR ELECTRICAL & ELECTRONICS ENGG. (REGULAR) WITH A MINIMUM OF 55% MARKS IN AGGREGATE FROM THE INSTITUTION APPROVED BY UGC & AICTE. 3 MANAGEMENT TRAINEE (HYDRO GEOLOGIST), (MEN ONLY) M.Sc.(TECH.) HYDROGEOLOGY / M.Sc. (APPLIED GEOLOGY) /M.Sc. GEOLOGY. WITH MINIMUM 60% MARKS IN AGGREGATE. 4 MANAGEMENT TRAINEE (GEOPHYSICIST), (MEN ONLY) M.Sc./M.TECH. IN GEOPHYSICS OR APPLIED GEOPHYSICS WITH MINIMUM 60% MARKS IN AGGREGATE. 5 ASSISTANT FOREMAN TRAINEE (MECHANICAL) (MEN ONLY) DIPLOMA IN MECHANICAL ENGINEERING (D.M.E.) FROM ANY STATE BOARD OF TECHNICAL EDUCATION APPROVED BY AICTE. 7 FITTER TRAINEE, CAT.1, (MEN ONLY) CANDIDATE SHOULD POSSESS SSC AND NATIONAL TRADE CERTIFICATE (ITI) IN FITTER TRADE AND HOLDER OF NATIONAL APPRENTICE CERTIFICATE IN FITTER TRADE ISSUED BY NATIONAL COUNCIL FOR VOCATIONAL TRAINING. 8 ELECTRICIAN TRAINEE, CAT.I (MEN ONLY) CANDIDATE SHOULD POSSESS SSC, NATIONAL TRADE CERTIFICATE (ITI) IN ELECTRICIAN TRADE AND HOLDER OF NATIONAL APPRENTICE CERTIFICATE IN ELECTRICIAN TRADE ISSUED BY NATIONAL COUNCIL FOR VOCATIONAL TRAINING. 9 TURNER / MACHINIST TRAINEE, CAT.I, (MEN ONLY) PASS IN SSC. NATIONAL TRADE CERTIFICATE IN TRADE OF TURNER / MACHINIST AFTER 2 YEARS INSTITUTIONAL STUDY / TRAINING AT ITI. NATIONAL APPRENTICE CERTIFICATE ISSUED BY NCVT AFTER 1 YEAR TRAINING UNDER APPRENTICES ACT & PASS IN ALL INDIA TRADE TEST. 10 SUB-OVERSEER TRAINEE (CIVIL), (MEN ONLY) CANDIDATE SHOULD POSSESS DIPLOMA IN CIVIL ENGINEERING (FROM INSTITUTIONS APPROVED BY AICTE). 11 MELTER (MEN ONLY) 1. DIPLOMA IN METALLURGY ENGINEERING. 2. 8 YEAR EXPERIENCE IN REPUTED STEEL FOUNDRY AS ‘MELTER’. 3. CONVERSANT WITH I.S. SPECIFICATIONS OF DIFFERENT ALLOY STEEL. 12 MOULDER TRAINEE, CAT.I, (MEN ONLY) 1. PASS IN SSC. 2. ITI CERTIFICATE IN MOULDER TRADE. 3. PASS IN PRESCRIBED MOULDER TRADE TEST CONDUCTED BY NATIONAL COUNCIL FOR TRAINING IN VOCATIONAL TRADES (NCTVT). 13 MOTOR MECHANIC TRAINEE, CAT.I, (MEN ONLY) PASS IN SSC. NATIONAL TRADE CERTIFICATE IN MOTOR MECHANIC TRADE. NATIONAL APPRENTICE CERTIFICATE ISSUED BY NCVT. Candidates who are applying for SCCL Management Trainee jobs are searching for Syllabus for their preparation. For that purpose, we are giving syllabus and written exam question paper pattern of SCCL Exam. Applicants can download syllabus along with exam pattern from our site. Syllabus is the very important for the candidates who are going to write these Management Trainee jobs. 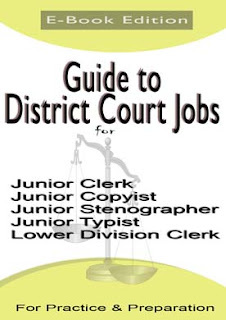 Hence the people can start their practice by downloading the proper details of SCCL syllabus. We are providing SCCL jobs test pattern details to get a brief idea about SCCL exam pattern. 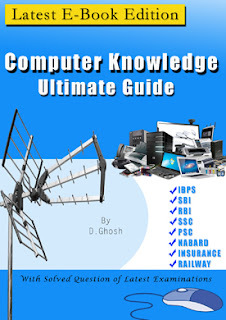 Aspirants can download pdf below previous questions papers. Previous year question papers are solved with answer. We prepare some model question papers and some sample questions papers for your preparation. Free downloading links of the Singareni Collieries Company Limited Previous Years Papers are provided. Click on the enclosed links to get the SCCL Management Trainee Old Papers PDF. We are providing the Singareni Collieries Company Limited Management Trainee Practice Papers just as a reference for the exam preparation. Finally, download the SCCL Management Trainee Previous Papers and use them as a reference for the scheduled preparation. On this page, Applicants can check the below links for downloading the SCCL Management Trainee Old Papers. The SCCL Management Trainee Exam Papers will be helpful for the applicants in their preparation. Proper preparation is needed to get your dream job. Hence, the people can begin the practice by downloading Singareni Collieries Company Limited Management Trainee Previous Papers. The SCCL Management Trainee Model Papers may not contain the originally asked questions. So Aspirants can use them as a reference only. Free downloading links of the SCCL Management Trainee Previous Papers are enclosed below. Also get Singareni Collieries Company Limited Management Trainee Syllabus and Exam Pattern from the below sections. The Singareni Collieries Company Limited issued a notification for the Eligible candidates. According to the Notification SCCL has released to fill up the vacancies of Management Trainee Posts. Aspirants who are wishing to apply for this notification can apply on before the Last date. People can get the complete details of SCCL Recruitment can get here. Candidates who applied for this Recruitment have to attend the examination to get the Job. For this Purpose, all applicants have already started their exam preparation. So download the provided SCCL Previous papers pdf from the below sections and make a perfect Preparation. Free downloading links of the Singareni Collieries Company Limited Management Trainee Previous Years Papers are provided here. Click on the enclosed links to get the SCCL Management Trainee Old Papers PDF. Here, we provided the SCCL Management Trainee Practice Papers just as a reference for the preparation. So practice them and make your preparation perfect. These Papers will help you in the Examination to manage time. Finally, download the SCCL Management Trainee Previous Papers and use them as a reference for the scheduled preparation. All Interested candidates can check the SCCL Management Trainee Syllabus and Exam Pattern. Download the Singareni Collieries Company Limited Management Trainee Syllabus. Also, Check Management Trainee Test Pattern. You can also visit the official notification for more details about the Management Trainee Exam. In addition to the Singareni Collieries Company Limited Management Trainee Previous Papers, you can also get the Exam Syllabus and can make better Preparation plan. The candidates can download the Singareni Collieries Company Limited Management Trainee Exam Sample Papers along with the Answers. The Singareni Collieries Company Limited Management Trainee Previous Papers will help the aspirants to crack the exam easily. Also, Visit the official website of the Singareni Collieries Company Limited for the Last 5 Years Papers. Refer the SCCL Management Trainee Sample Questions and Answers to get an idea of the difficulty level of exam. Download the below enclosed attachments of Previous year question papers for free of cost. People can also get Previous Year Question Papers for all competitive exams. Have you applied for the Singareni Collieries Company Limited Management Trainee Recruitment? And Searching for the Previous Year Question Papers. Then you are at the right Place to download the SCCL Management Trainee Previous Papers Pdf at free of cost. For all the applied candidates, we provided the Last 5 years SCCL Management Trainee Old Question Papers. Candidates who applied for these Jobs and started their Exam Preparation can download the provided SCCL Management Trainee Previous Papers Pdf and Practice them. If you practice those papers you can answer more questions in the Examination. And also can answer easily. On this Page, we have provided the free downloading Links of Singareni Collieries Company Limited Management Trainee Previous Question Papers. With the Provided Exam Papers, you can perform well in the Examination and also can score good marks in the Examination. Hence download the SCCL Management Trainee Previous Papers from the links enclosed below. The Singareni Collieries Company Limited released a Recruitment Notification to fill up the Vacancies of Management Trainee Posts. Candidates who are looking for the SCCL Management Trainee Jobs can also use this Notification. All Eligible candidates can apply for this SCCL Management Trainee Jobs before the Last Date. Aspirants can also get the complete details of Singareni Collieries Company Limited Management Trainee from this link. 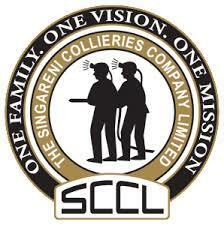 All those candidates can check the Singareni Collieries Company Limited Previous Papers here. After downloading the Exam Papers make use of them in your Exam Preparation. So that, you can perform well in the Examination.